This is such a pretty decanter for a candle. It's from the 1970's. 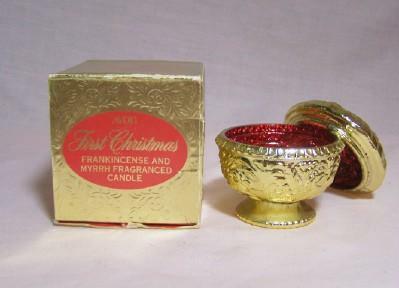 The gold finish outside is bright and the red inside gives Christmas cheer. It is glass. 2-3/4" high.